We received the most adorable Lion Cub from WowWee so we could write this review and give one away to you guys so stay tuned for our giveaway, and we also have a second chance to win from our friend Life She Has. Her daughter also recieved the Wowwee Alive Tiger Cub (gifted to her from Wowwee) and was SO excited to start snuggling and playing! We loved the Alive Tiger so much that we made a video of the little guy. SO check out all these fun sounds the Alive Tiger makes and according to the box this wasn’t all of them. The Alive Lion Cub is so cute and so adorable it was hard to part with. We did share it though and gave it to one of our cousins. She quickly fell in love with it as well. She was cuddling with it a great deal. I really think this guy would be an excellent toy for kids this year for Christmas. This will for sure be in our Holiday Gift Guide. I really am impressed with WowWee as a toy brand and the toys they came out with this year. This might be a toy I would get for others because it makes just the right amount of sounds. It’s not annoying it all, it adorable!! There are so many ways to play with these interactive plush pets! They respond to your touch with blinking eyes & a mouth that opens and closes. They make adorable baby animal sounds when you stroke their heads. They know when you are cradling them in your arms and you can rock them to sleep. 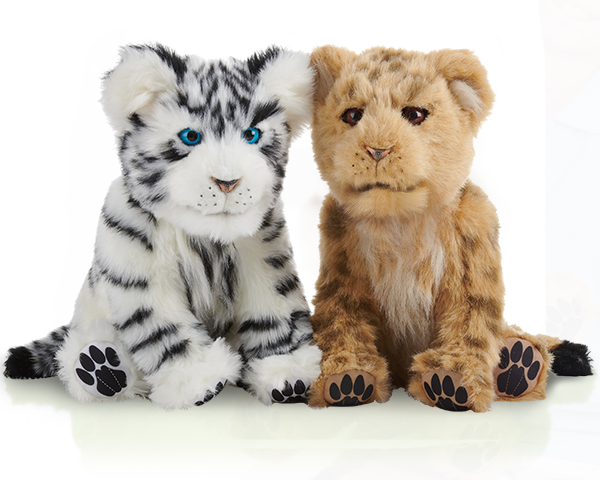 Wowwee Alive comes in both Tiger Cub and Lion Cub and is available exclusively at Walmart for $34.97. You can WIN one with me! giveaway one ends 8/30/2018. Winner will have either the Tiger Cub or the Lion Cub sent based on availability from the sponsor. We received a sample in exchange for sharing this giveaway with you all. Graco is having two awesome sweepstakes right now and each one gives you guys the chance to win something big. Graco is hosting a chance to win the Uno2Duo Stroller and the TurboBooster Booster. The Dream Big Registry Sweepstakes is your first chance to win with Graco. To enter you can upload your baby registry for the chance to win an Uno2Duo stroller plus your dream registry! This chance to win runs through August 11. The second promotional giveaway is the Fuel the Carpool campaign allows you to enter through the website for the chance to instantly win gas station gift cards, coffee shop gift cards and even the Graco TurboBooster Booster. This deal runs through August 17. So hurry and take those two chances to win some excellent Graco prizes. We received fandango gift codes and some other swag, along with the opportunity to pre=screen the movie to bring you this Teen Titans Go To The Movies Movie Review and Giveaway. This last weekend we got up instead of sleeping in to go see the new Teen Titans Go Movie, called Teen Titans Go To The Movies. Teen Titans Go Movie comes out July 27th and that’s right around corner. Friday to be exact. The movie was all about Robin trying to get his own movie and realizing that it wasn’t what he really wanted. I love watching Teen Titans Go with the kids. I’ll often even leave it on when they leave to go play or go to school. I also choose it when I spend time watching TV with them and they want me to pick. So I was excited for the movie. My son was not excited to see it. He was very happy with how much better the movie was than he expected. The Teen Tians Go Movie was so funny. 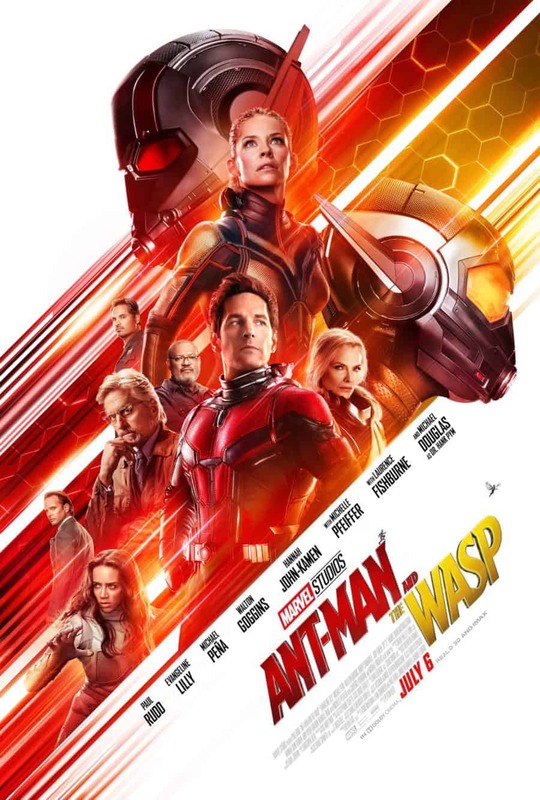 I found myself laughing all throughout the movie. 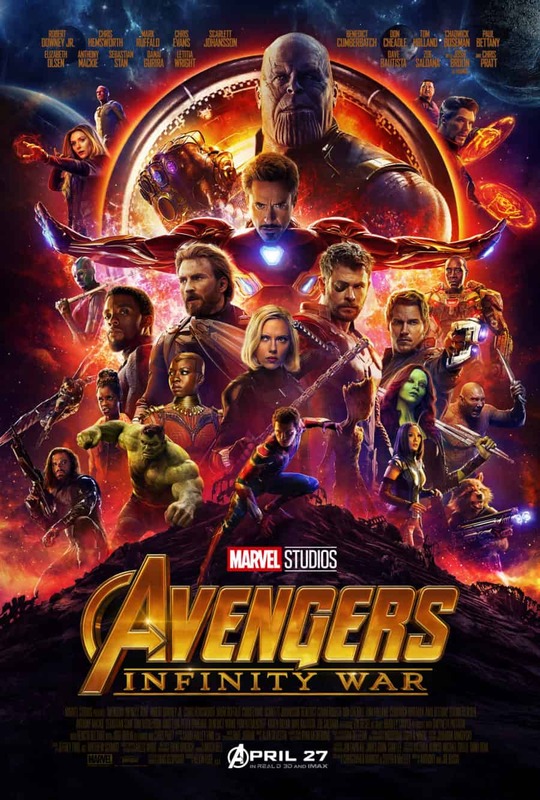 It made fun of everything, themselves, Marvel, Superman, the voices behind the characters, Back To The Future, Stan Lee, and I’m sure there was more but I didn’t take notes and can’t remember. I also loved how the music carried the movie. The music in Teen Titans Go To The Movies was perfect. Each scene was carried into the next or set up just right by that back ground music and the variety was great. It was also full of just everything being over the top like Teen Titans Go is. My entire family liked it and thinks you should give it a chance. So get your family and take them to see it. It deserves a chance. I’ve teamed up with Life She Has and my favorite bloggers to bring you a NEW giveaway! One reader will WIN $25 Visa Gift Card plus 3 Entenmann’s coupons for FREE products! Hotel Transylvania 3: Summer Vacation is in theaters July 13, 2018 and if you look for specially marked Entenmann’s® you will find an on-pack promotion for $5.00 off a movie ticket running from May 28, 2018 to August 3, 2018! 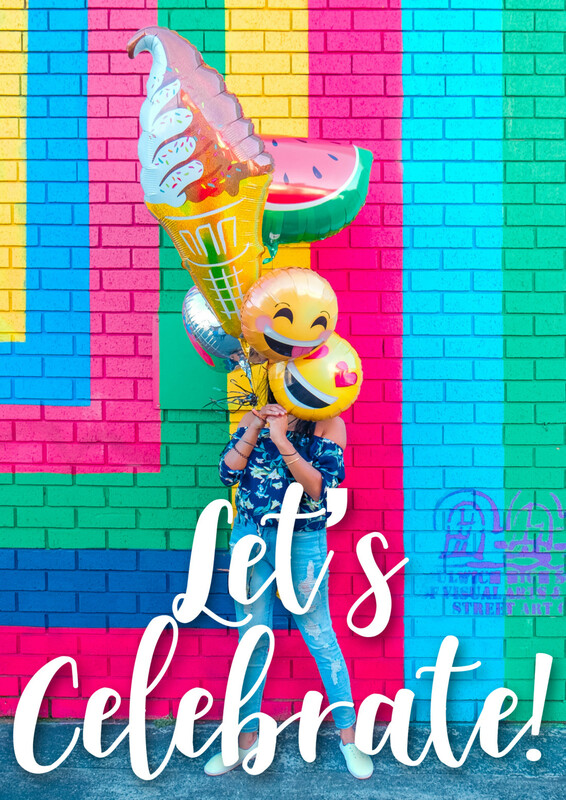 We’re so excited today to share with you that our friend Carol has relaunched her blog with a whole new look and name: Life She Has! And in honor of the relaunch, we are teaming up with Life She Has to bring you an amazing giveaway for $500 worth of fashion and beauty goodies. Read on to get the details on all the prizes and enter! I am so excited to partner with Life She Has so celebrate her rebrand by offering a giveaway! Be sure to watch the Giveaway Video above to see an unboxing all of the prizes! One winner will receive everything mentioned! Giveaway ends July 11, 2018 at 11:59 PST. US only, 18 and older. *thank you to the brands mentioned for sending products and providing winner gifting. I was not paid by any brands mentioned to post. Ok, here we go again guys. We are teaming up with a few bloggers to share a giveaway, and we have to chances for you to win a Hotel Transylvania Double Feature. One of the chances if right here on this blog post. It’s our giveaway as we are huge fans of the Hotel Transylvania line up, as we are working directly with Hotel Transylvania 3 that comes out July 13 in theaters. Learn more by following #HotelT3 on Facebook, Twitter, Instagram and Pinterest. Who is your favorite Hotel Transylvania Character? The second opportunity you have to win is with our blogging buddies, hosted mainly by Whiskey + Sunshine. Other bloggers will be mentioning it on their sites as well. Because we all want to share the giveaway madness and fun coming with Hotel Transylvania 3. Hey Mummies, Daddies, and little monsters of all kind! School’s out or today is your last day, so summer is here and we want to celebrate. We have the perfect giveaway for you! So grab your monster-sized popcorn and get ready for the ultimate family night in because we have a double feature giveaway of HOTEL TRANSYLVANIA and HOTEL TRANSYLVANIA 2 on DVD from Sony Pictures Home Entertainment! Just in time for this summer’s highly anticipated release of HOTEL TRANSYLVANIA 3: SUMMER VACATION your readers can catch up on all the fun and laughs in Hotel Transylvania and Hotel Transylvania 2, before seeing the all-new movie this July! Readers can also revisit their favorite monsters including Drac, Mavis, Frank and more! Use the Rafflecopter below to enter to win. Ends 1159 pm PT 6/26. Well, we just can’t stop with the giveaways lately and I love it. I feel like we’re getting back to our roots a bit. Now all we need are some savings posts and some more round ups. Anyway, Avengers: Infinity War has been out for weeks now and we’ve partnered with some of our blogging buddies for a second giveaway. 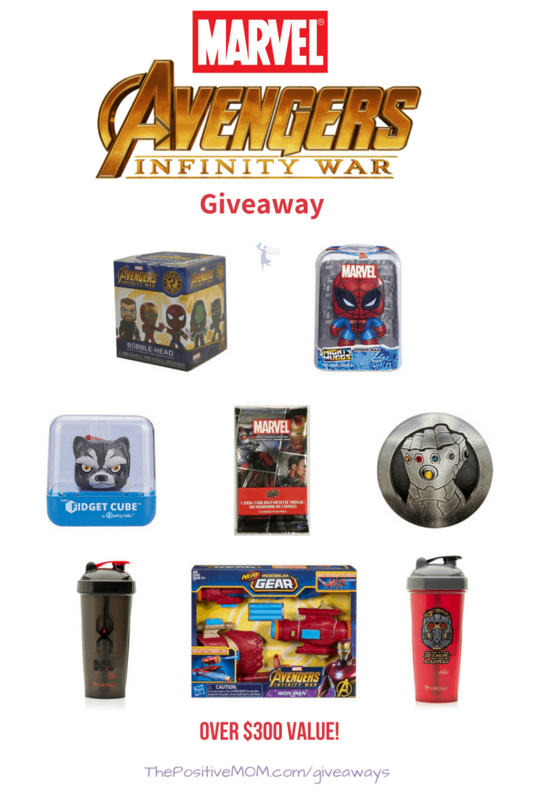 In honor of MARVEL’S AVENGERS: INFINITY WAR‘s great success, I’ve teamed up with Elayna Fernandez (The Positive MOM and Disney Mom Guide) and some other really fantastic Disney loving Bloggers to giveaway an AVENGERS: INFINITY WAR Gift Pack. This is another one that is over $300 value! Which of these AVENGERS: INFINITY WAR collectibles is your favorite? Good luck to you! You can see close up photos and on our Avengers Infinity Gift Guide.